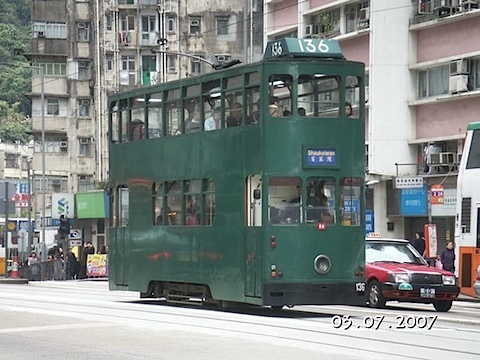 Traveling in Asia requires flexibility and accommodation for unusual situations. As different countries develop, the people developed different methods to cope with the need to travel. The following are some of my observations. The bicycle is the first land conveyance adopted by a developing country. It is relatively cheap, easy to use, and agile. In GuangZhou, a man carried a pig carcass on the back of his bicycle. But the carcass is impaled on two sharp exposed steel rods that would impale the rider if he should get into any accident. The owner of this pig-selling company is certainly criminally negligent and has no regard for the safety of his worker. 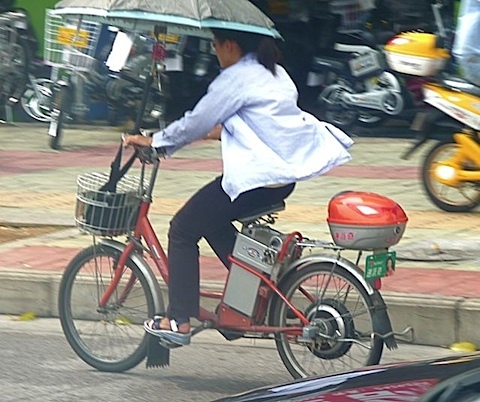 Electricity aids bicycle with rechargeable batteries. 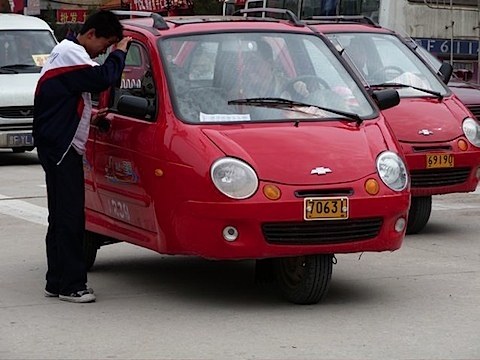 Walking in China nowadays require extra vigilance as these vehicles silently and rapidly creep up from all directions. In GuangXi, a girl attached her umbrella to the handlebar for riding in the rain. 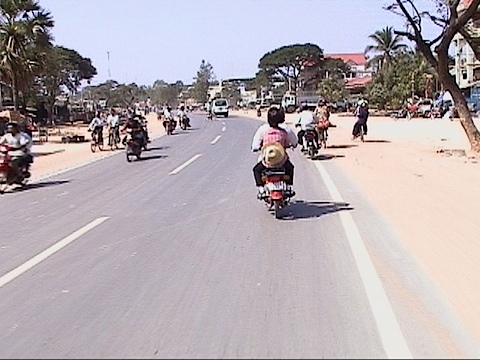 Motorcycle is a relatively inexpensive means to travel, carry goods, and to make a living with. 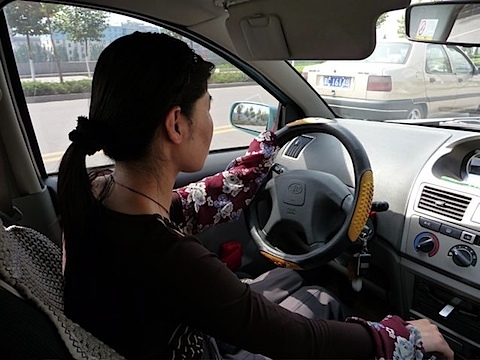 Although the two cycle engines generate 20 times more air pollution than a car, motorcycles are usually the first vehicles to be used in developing countries. This is Sally riding on a motorcycle taxi in Cambodia. She was not wearing any helmet. But fortunately the ride was short and the road was not congested. Motorcycles developed into tricycles to carry passengers and freight. They are fragile when traveling on roads and need to watch out for cars and trucks. But they provide their owners income and the people a cheap taxi service. 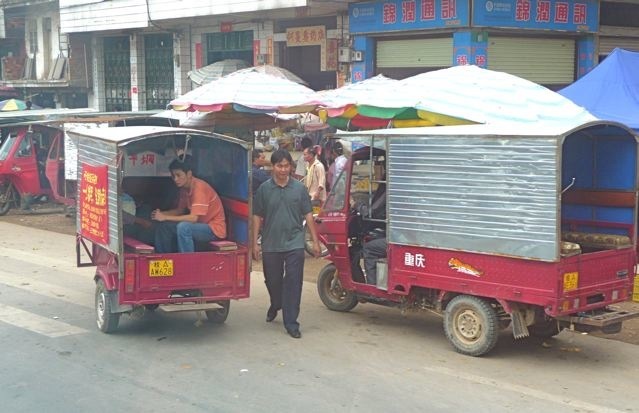 This trike taxi charged US 50 cents for a two-mile ride. 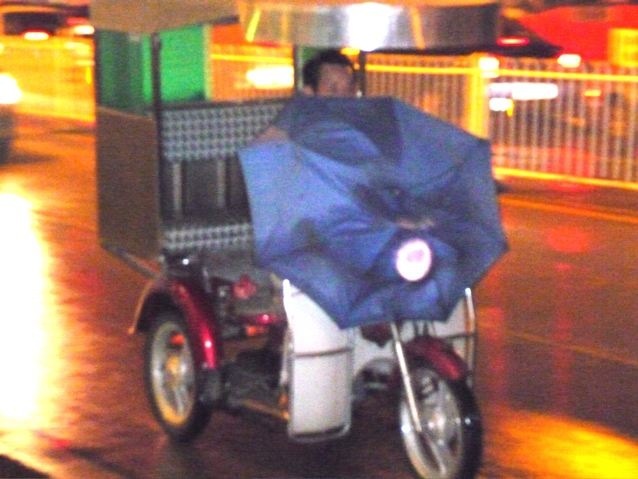 The trike taxi drivers use umbrellas to fend off raindrops, but obscure the headlight. 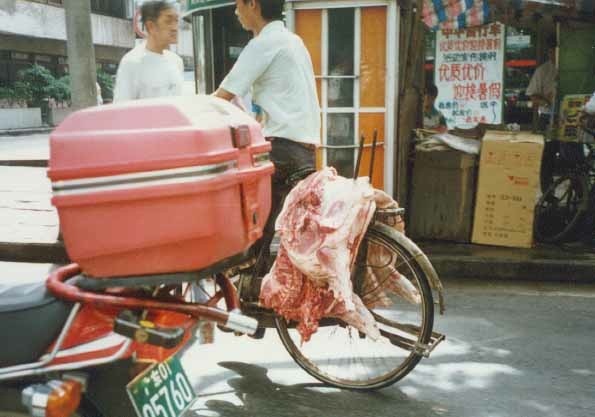 Motor tricycles get bigger and carry heavier load. 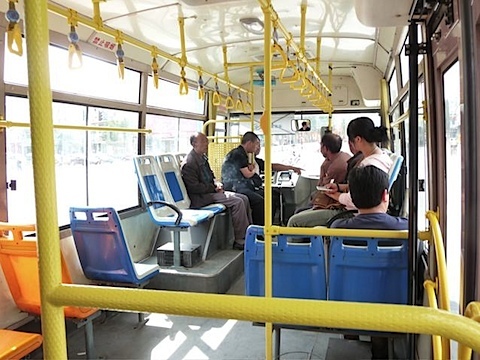 They become rural buses. 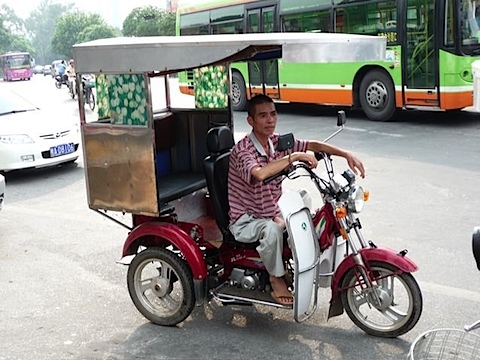 As people get more affluent, motor trikes get upgraded with fancy cabs and car-like accessories. These trike taxis carry logo strikingly similar to GM’s logo. Four wheeled taxis are still the preferred mode of transportation in cities. Some women drive taxis for a living, but still want to keep themselves pretty and not suntanned. This woman resorts to wearing sleeves that cover her entire hand by the window. Advances in electronics bring unexpected hazards. As cars are built with LED screens for GPS and other information, taxi owners in Taipei modified them to carry broadcast TV signals. This taxi driver said he never drives without watching soap operas and that he only needed to see the road with peripheral vision. I nearly kissed the ground when I got off his cab. For longer distances, minibuses carry 15 persons and go to all villages and small towns. But many of these rural minibuses are poorly maintained, and the drivers make do with whatever moves. 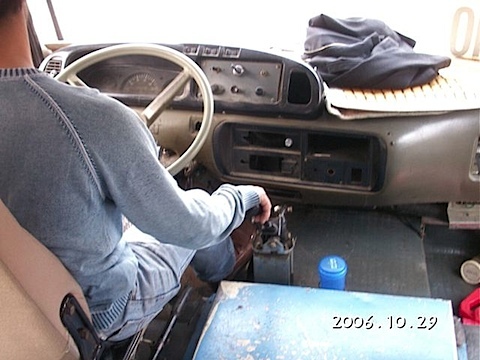 This minibus has lost all its dashboard instruments and functions, yet it continues to make money for its owner. 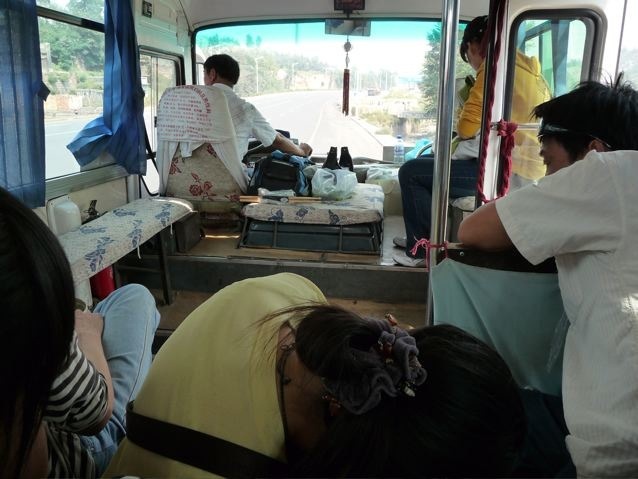 Quite often, these minibuses overload with twice the number of passengers. 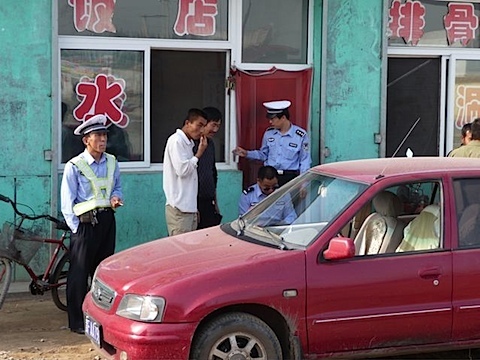 To avoid getting caught by police at known checkpoints, the driver would stop and let off some passengers who would walk pass the checkpoint and re-board the minibuses later. At this check point, passengers were told to cower low to avoid the police from seeing the overload condition from across the road. But one driver was caught and was given ticket by the police at one check point. He just shrugged it off as a cost of doing business. 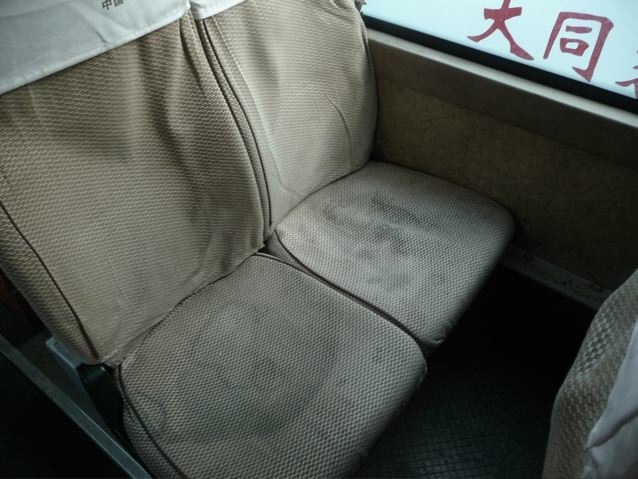 Most of these rural minibuses are poorly maintained and cleaned. I hesitated to sit on these seats. 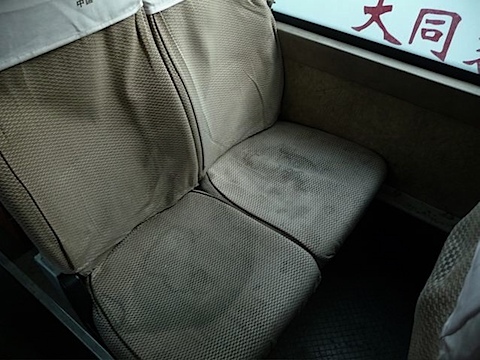 But once in awhile, I would serendipitously find clean seats. 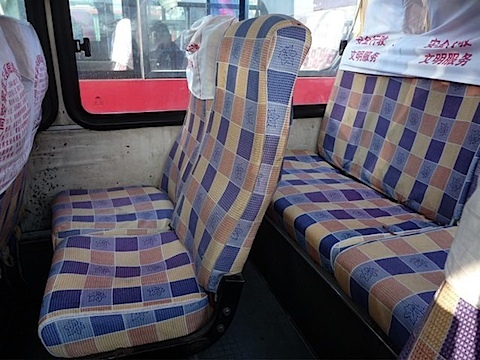 City public buses in China are generally reliable and ubiquitous. Many buses are old and dilapidated, but new ones are replacing them. They cost US 25 cents for a ride that traverses a city. 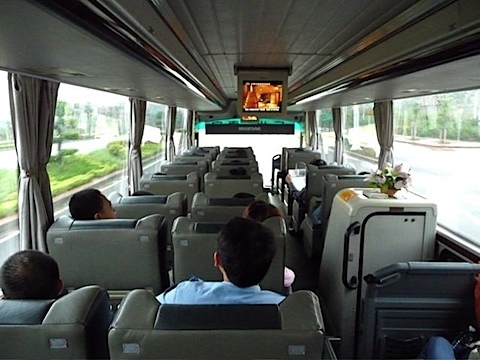 For long distance inter-city travels, Chinese sleeper buses are comfortable and spacious. Three rows of bunk beds replace chairs and blankets are provided, and a 10-hour ride passes without trouble. 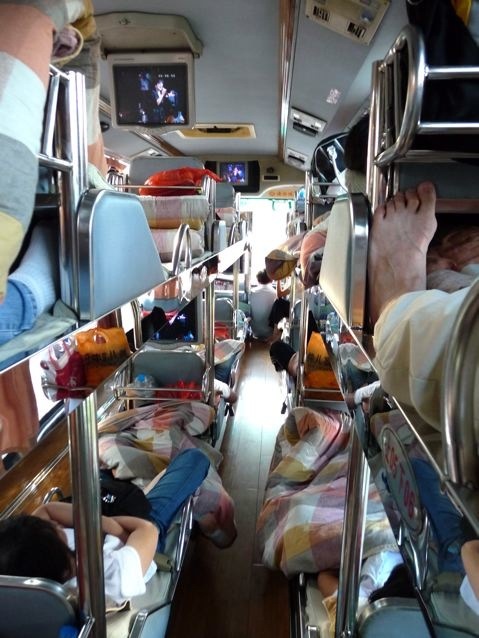 But the apex of bus travel in China is the lounger bus. 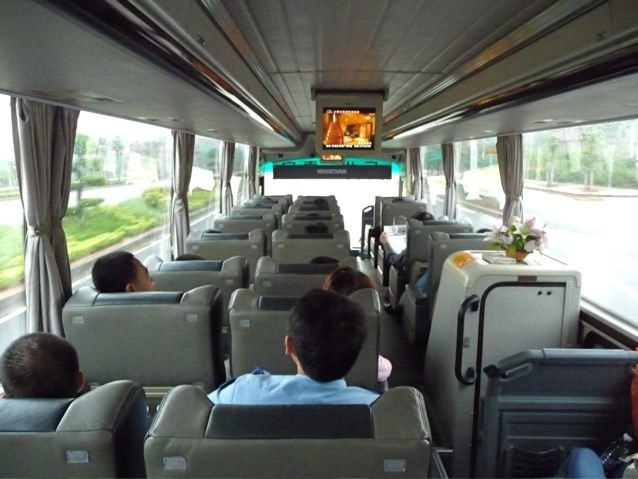 Instead of four cramped seats per row, these deluxe buses provide three loungers per row. An 10-hour ride on such deluxe buses was even more comfortable than on sleeper buses. My favorite mode of transportation is still the double decker tram of Hong Kong. They are slow, open aired and allow close survey of the vibrant street scene. 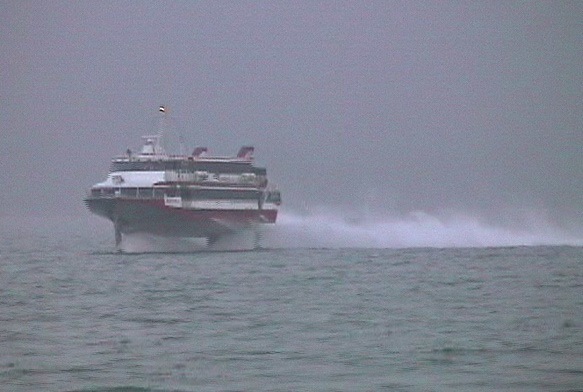 And every time I see a jet hydrofoil traveling between Hong Kong and Macao, I get excited. One memorable ride was on the magnetic levitation train in Shanghai. 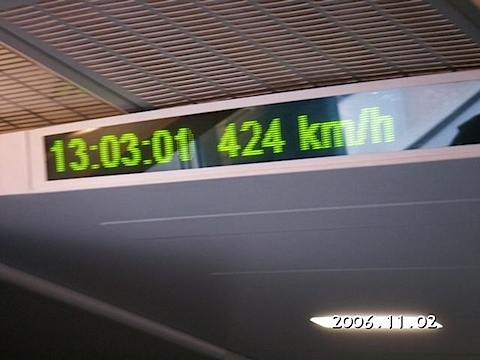 Quietly and rapidly, the maglev train sped up to 450 km/hr (about 300 mph). Buildings zip by the window and everything seemed blurred. 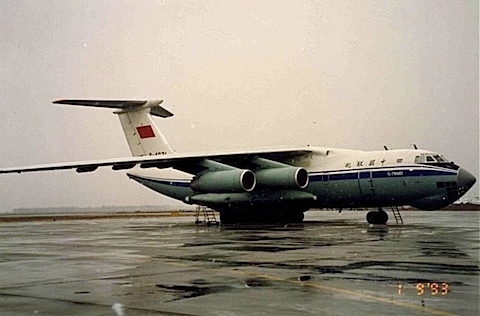 But the most memorable and scary ride was on a passenger plane flown by China NorthWest Airline. The plane was leased from the Russians and was near its end of its service life. The carpet in its aisle was all torn and was rolled up into a ball. Passengers and flight attendants had to step over the roll of junk when they walked. Again, I nearly kissed the ground when I got off that plane. Posted by Robert Wu on Friday, November 28, 2008, at 4:00 pm. Filed under Uncategorized. Follow any responses to this post with its comments RSS feed. You can post a comment or trackback from your blog.